It’s no secret that I love tea. From your classic English breakfast, to ginger, to chai, I’m somewhat obsessed. One thing I haven’t expressed my love for as much is green tea, as to why I really don’t know because if it wasn’t for this little cup of miracles I really don’t know where I’d be with my health. Sounds rather ostentatious but during my school and work days I have absolutely no time to exercise and get fit, I don’t eat great, and when I get home I just want to sleep. So without green tea by my side washing all the bad stuff out of me, I’d probably be an Oompa Loompa. Which means I have a lot to thank for green tea. So when PureChimp said they’d like to work with me, I was over the moon. I genuinely buy their tea anyway and absolutely love it, so to be able to write a post for them is so exciting! Thank you PureChimp! This tea is no ordinary green tea however, it’s the ultimate green tea. It’s a favourite of Bake Off’s Rav, Matcha tea. If you are unacquainted with Matcha tea, it is subsequently a very strong green tea from Japan, where the whole leaf is finely ground to a powder form. The fact that it’s the only tea where the whole leaf is consumed means it’s full of antioxidants and one serving is supposed to be the equivalent to 10 cups of regular green tea. Unbelievable, right? I, like many around me were very sceptical with the vast amount of big promises this tea makes. It’s hard to believe a cup of tea can do so much. But believe it. For me to go through all the benefits we’d have to be here for hours. So I’ll try break it down briefly for you. 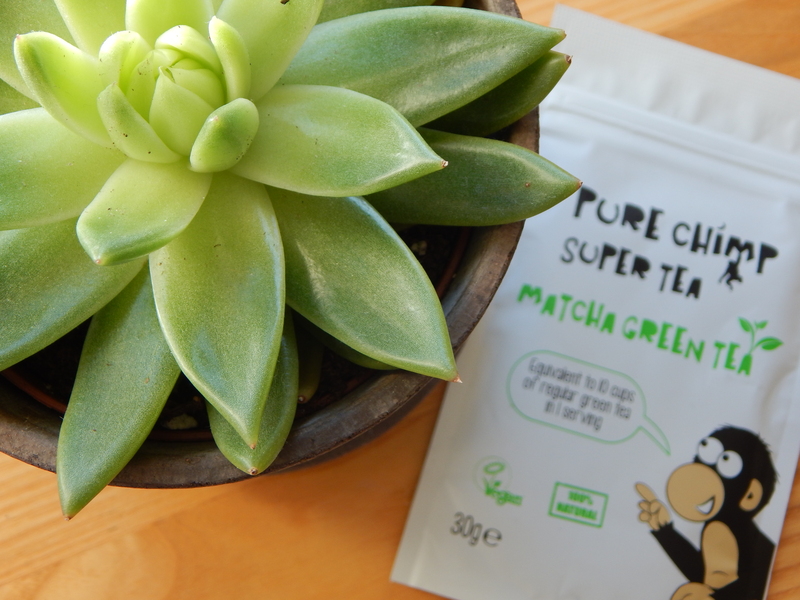 Matcha tea contains chlorophyll, and lots of it. Meaning it is an amazing detox, flushing out all the toxins. Not only do all these antioxidants help your body but your skin too. To name more of it’s goodness, it contains calcium, potassium, iron, protein, vitamins A, C, B-Complex and K and Catechins meaning it also enhances your concentration, helps weight loss, boosts energy levels, calms, fights cancer, reduces cholesterol, builds immunity and combats ageing. What more could you want from a cup of tea? It’s hard to give you photographic evidence of many of these promises. But as far as my health goes inside and out from drinking this tea, the effects are phenomenal. I’m not on any specific diet, I just want to stay healthy. But when I’m at work or maybe having a lazy day I drink so much regular tea with sugar, coffee, hot chocolate and I don’t eat great either. So by drinking this, it helps flush all of the bad stuff away and helps keep me on track. My skin has also been thankful, it’s still spotty as it always is, but it feels fresh and clean, and doesn’t feel like its bunged up with impurities. Now you’re probably thinking “Yeah Em that’s great but let’s be real, a super health product like this is going to cost a fortune!” £6.95, that’s all. And even the smallest packets go a long long way! They also do such a huge range, from regular Matcha to flavoured Matcha to Gift Sets. To explain the taste, the word earthy comes to mind, but not unpleasant at all. It’s subtle and rather refreshing. Matcha tea can also be incorperated into so many things, drinks to puddings to cakes to snacks, there’s so much you can do with it. So I thought I’d share some ways to have this tea. Firstly, on the packet it suggests that you put half a teaspoon with juice or water for a super shot, or mix with hot water and honey for a luxurious hot drink or add to your favourite smoothie. All of which are really nice, especially in the morning or throughout the day to keep you going and really easy to make! 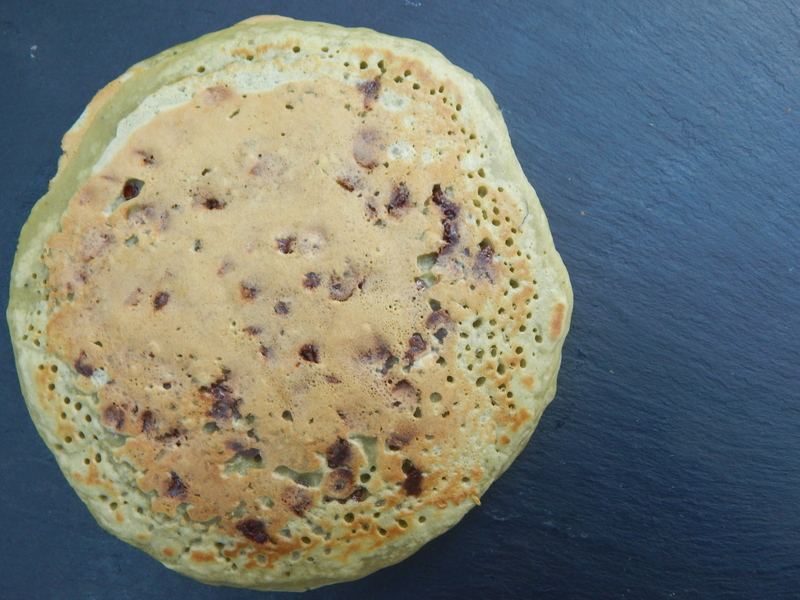 If you’re at home one day wanting a nice breakfast, but with some added goodness and got some time, here is a recipe for matcha pancakes. Simple, easy, and so tasty! It’s not completely healthy, but can easily be made very healthy, and the matcha acts as a healthy agent to still give you all those good things, whilst eating a pancake. Crazy, I know. The method is as easy as combine the dry ingredients, add the wet ingredients, add chocolate chips to desired amount. (I added way too many to mine so definitely weren’t the healthiest but oh well!) Then spray a pan or hotplate with oil and cook them up! This recipe serves about 2-3 people I’d say. And if you didn’t put chocolate chips in them you could always add honey or some lemon on top, or anything you want really! Also it is such an easy recipe to make super healthy and/or vegan. Simply by changing bits like the egg to a falx egg and the milk (I actually do use almond milk in mine but I left it open as any milk works!) and even the flour if you wanted. It’s so versatile and so easy to make. However it may not be for everyone. But that doesn’t mean you can’t drink it to get all those little wonders. If you put 1/2-1 teaspoon of matcha tea in orange juice, give it a whisk so there aren’t any lumps. You really can’t taste it. But you don’t miss out on all these benefits! There’s a little peak into the wonderful world of Matcha. 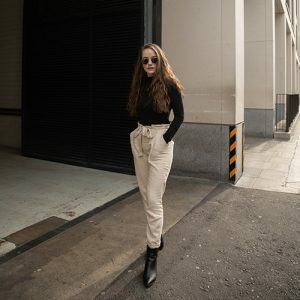 I hope you liked and I hope you try out this amazing product! Again a huge thank you to PureChimp! I’m not normally a fan of tea to be honest, but with all the great benefits that come along with this, I think the pancake mix or adding it to a pudding would be the best way forward for me. Really great post! I love green tea and I have heard such good things about Matcha. I haven’t seen it here yet but I’ll keep a look out. I don’t think we get this brand but I’ll have to have a look. Thank you for the recipe as well. It looks delicious! I’m not a fan of green tea at all. I do try my best to have a cup or two a month though. The pancakes look delicious, might give them a go! Thanks for sharing. Oooooh I have matcha in my cupboard that’s kind of been abandoned because I’m not a fan of drinking it. I’ve never thought of cooking it into stuff though – definitely going to try these pancakes!! I’ve never actually tried matcha tea! I’ve heard it tastes a bit bitter. But those pancakes look delicious! Ahhhh I always love your posts, they’re always so beautiful. The pictures, 😍😍😍! You’re making me want pancakes right now! I’ve never heard of this tea but I must give it a try I’m not a big fan of green tea but I think I’ll try give it another chance ;D and those pancakes look lovely! I love the amount of detail you’ve gone into, I think you’ve sold me into giving it a try. I’m not a massive tea fan but I will definitely give it a go – especially as it’s quite affordable compared the other herbal teas I’ve seen. 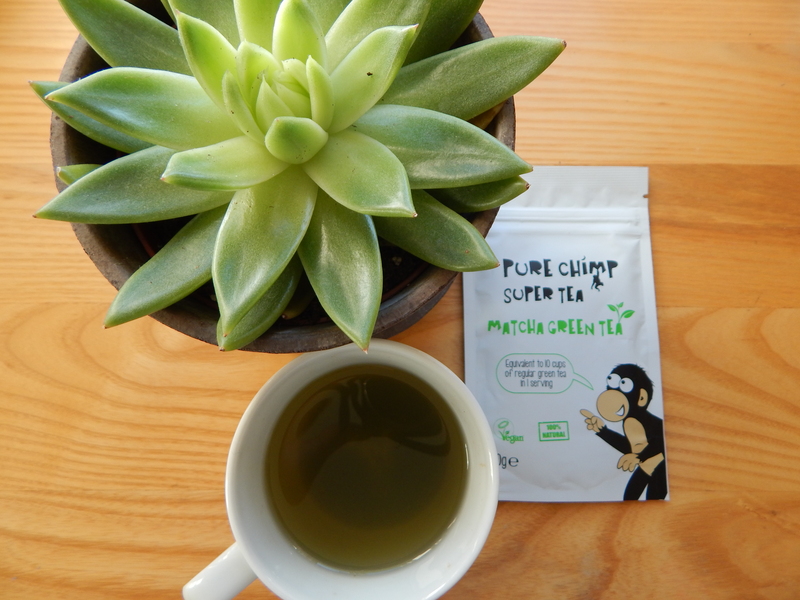 Ow the tea sounds lovely, i love little chimp on the packaging too! It’s so good! Aha he’s adorable!! Omg I TOTALLY relate on that second paragraph! I think drinking green tea is definitely one of the most beneficial things I can do for the sake of my own health. (I actually talked about green tea on my most recent post as well, haha!) I don’t drink it every single day but I’d say about 5 times a week. It helps SO much. 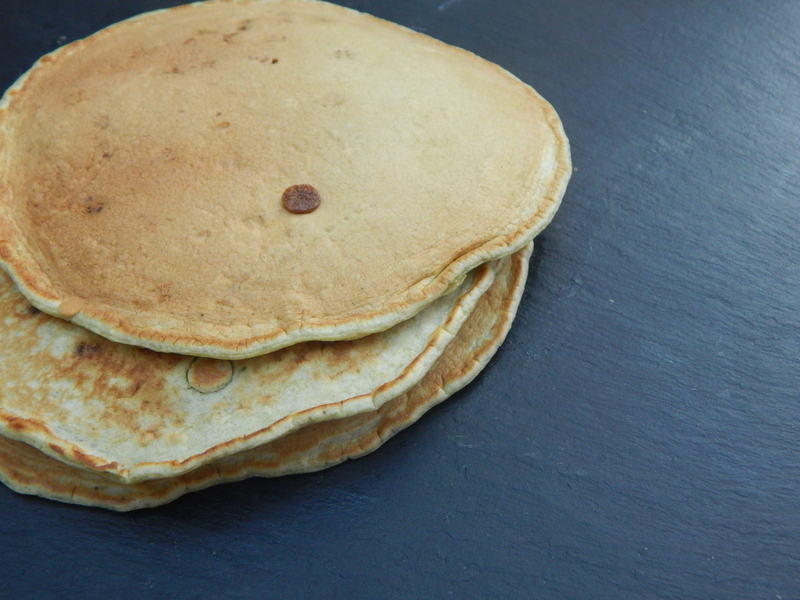 These pancakes also look really really good <3 I adore this post! So so true, its so underrated! Ahh no way? I’ll have to have a look at it! Neither do I, but having a bit a week is better than none! Looks amazing! I’m definetley going to have too try green tea! I’ve never tried green tea before but my sister drinks it every day! Maybe I’ll have to give it a go! Great post! Definitely give it a go, its so beneficial and if you like it thats even better! Thank you! im a huge tea fan aha and I love green tea! i never thought i would like it at first but it’s wonderful! x followed you! I’m trying to drink tea more on the daily now, and as I’m reading about this green tea I’m sitting here like yes I need this now! I’m more of an Earl Grey and everything in between tea drinker but this green tea seems like a must have and I can even make pancakes with it- A+ tea right here! Yesss gal, ahh no way! Tea is life right haha, definitely do they’re gorgeous!